Congress is required by the Constitution to determine its own pay. In the past, Congress periodically enacted specific legislation to alter its pay; the last time this occurred affected pay in 1991. More recently, pay has been determined pursuant to laws establishing formulas for automatic adjustments. Members of Congress last received a pay adjustment in January 2009. A provision in the FY2009 Omnibus Appropriations Act prohibited any pay adjustment for 2010. This book contains information on the pay procedure and actions and freezes since the last pay adjustment in 2009. It also contains historical information on the rate of pay for Members of Congress since 1789; the adjustments projected by the Ethics Reform Act as compared to actual adjustments in Member pay; details on past legislation enacted with language prohibiting the annual pay adjustment; and Member pay in constant and current dollars since 1992. In addition, the book contains information on actions taken affecting each pay year since the establishment of the Ethics Reform Act adjustment procedure. 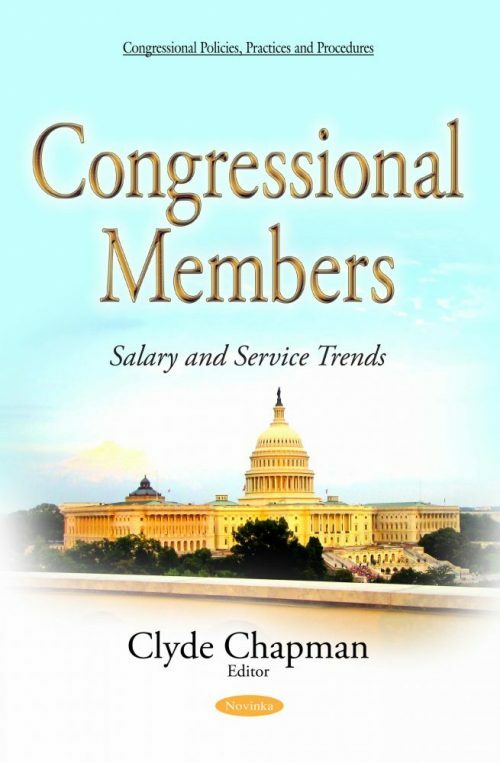 It also provides information on other floor action related to pay for Members of Congress; examines the distribution of Member service that underlies the aggregate chamber averages is examined; and analyzes historical trends in the percentage of Members who have served in both chambers.